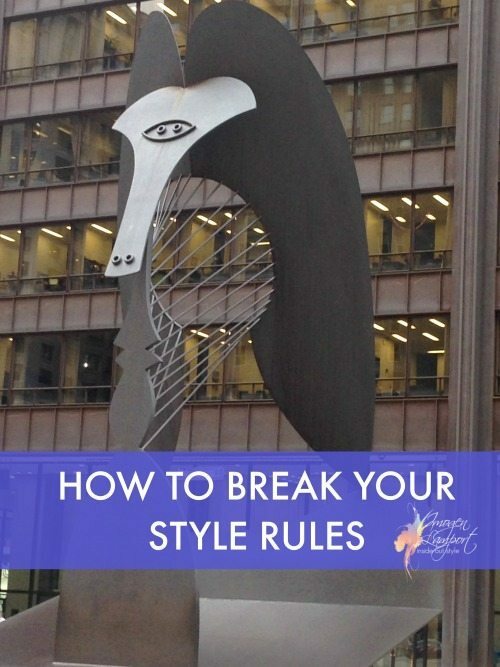 I teach style rules all the time and then I teach my clients how to break them. I like to think of it as the Picasso principle. What’s that? Well I never used to understand the though process behind Picasso’s painting, that was, until I visited the Picasso Museum in Barcelona. There in the exhibit was a series of paintings, from the very traditional portrait in a very life-like realistic fashion of painting (like the style of Leonardo Da Vinci), and then in each of the following paintings, Picasso had turned or altered one feature, until he arrived at his finished painting, in his Picasso style. So the Picasso principle is all about knowing your rules, then choosing how to break them to express your personality. Here in this video with Jill Chivers of Shop Your Wardrobe we discuss breaking our style rules. Which of your style rules do you tend to stick to and which do you enjoy breaking and what are you expressing about your personality when you do break those rules? As always, I love your videos with Jill Chivers, great advice given in a warm and friendly way. I’ve been doing some shopping lately and decided to go through all your 8 shape posts again to keep myself on track. They are all still so relevant – from ankle pants, still all over the place, to empire waists, which I see a lot of in smocked or gathered versions. The pictures really drive the lessons home. Thanks so much for all the work that went into these posts. You are probably thinking of Picasso’s interpretations of a Diego Velázquez painting, Las Meninas. The Picasso Museum in Barcelona has a large space dedicated to this series. Another great video for moving outside the style box. I find this very interesting but have not worked out how to do it yet. My style personality is Natural with a Flamboyant twist, but my weekend and spent in outdoor gear and my weekdays in a corporate suits type environment, with few other women in my role (IT project manager). I have experimented with softer suits, non-suits, cardigans etc at work but it doesn’t get me the same reaction as a classic matched pant or skirt suit, so I guess the personality needs to come through in shirt colour, necklaces etc. I am also a hobby dressmaker, so theoretically anything is possible, but in some ways that is harder as my fabric stash is full of crazy stuff. 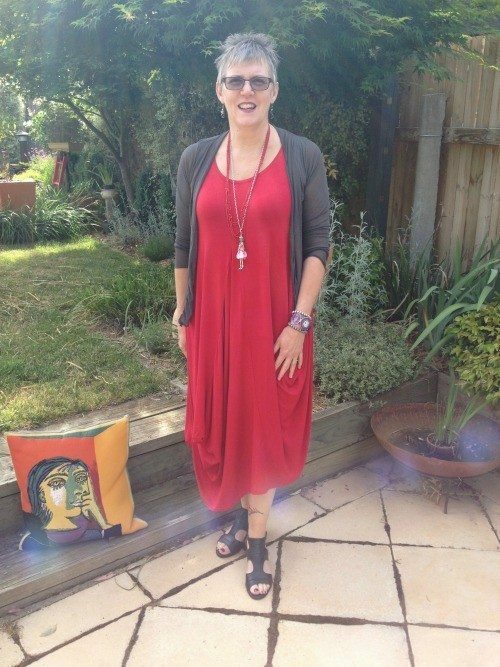 Ruthie – often we have to wear more of a uniform at work, and can express our true personlity in our own time – more when you’re out to lunch with friends rather than in the garden! Yes don’t forget to play with shirts and jewellery with your more corporate suits.